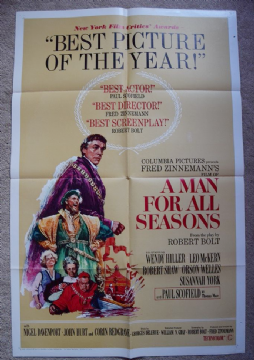 A Man For All Seasons (Highland Films, 1966) One Sheet 27"x41"
Historical Drama starring Paul Scofield, Orson Welles, Leo McKern, Susannah York and Robert Shaw. 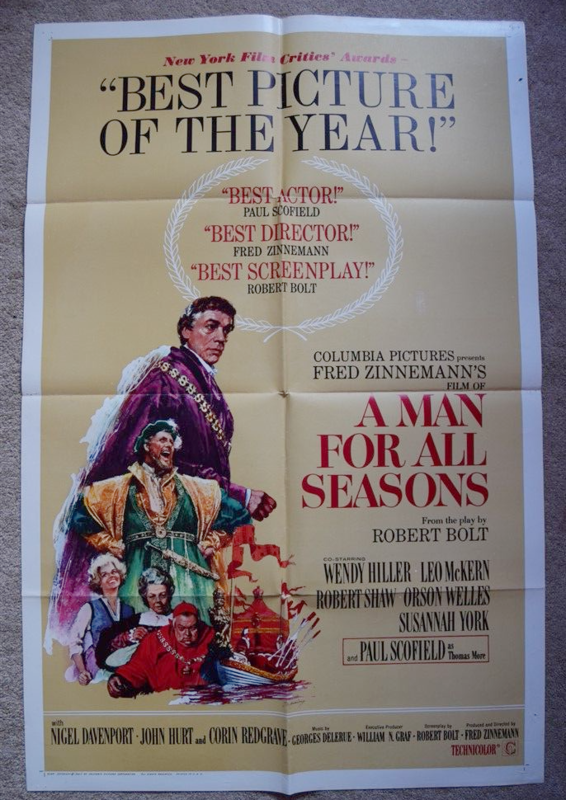 The poster has a fold separation top fold and a hole in the border in the top right area. Displays well.